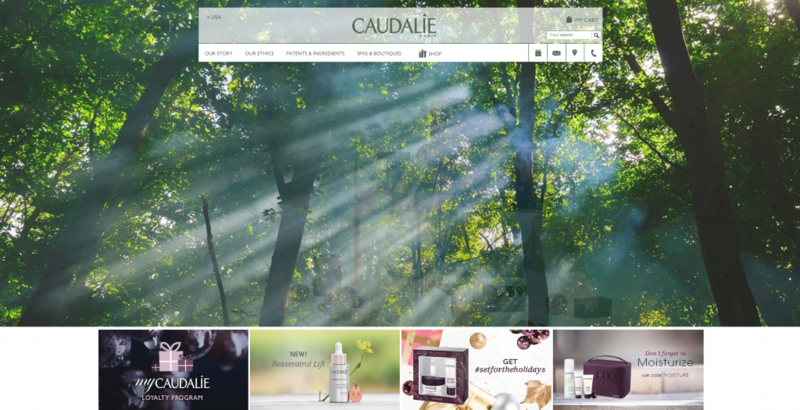 Caudalie, the apothecary line, came to Union Square Design in hopes of building a redesigned site that would increase unique visitors to their site, and gain notoriety for their brand. In addition, the skin care company was looking for an improved means of educating both new and repeat customers about their personal story and their distinctive ethical code. As an apothecary company, Caudalie was in need of clearer product descriptions. They also needed a site layout that would make visitors interested in shopping online. Furthermore, they wanted a platform that would make their very personal story resonate with visitors. This story is a crucial part of the company’s self-definition; it highlights their approach to creating products that occupy such an intimate space in people’s daily lives. 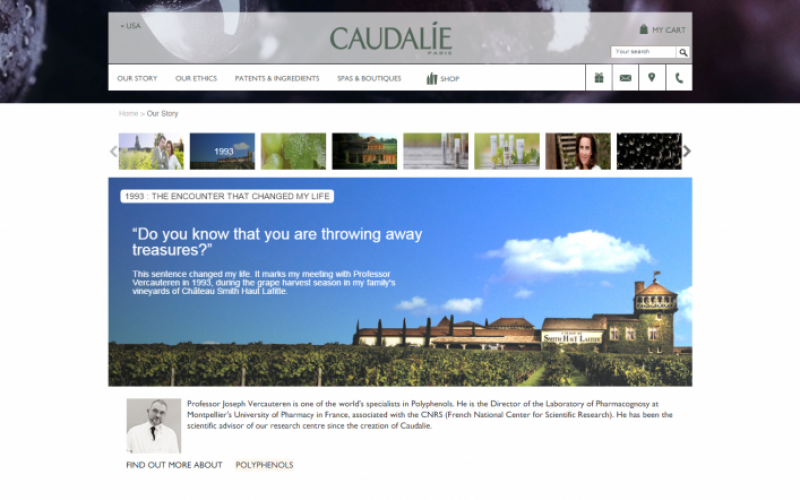 Husband and wife, Bertrand and Mathilde, created Caudalie on their family vineyard in Bordeaux. After realizing the incredible properties of grape seeds and vines for the skin, the two began creating topical solutions. These grapes had previously been used exclusively to make wine. Ingredients such as resveratrol and polyphenols are what make their products so effective; Mathilde has even published a book on their formulas called The French Beauty Solution. Mathilde and Bertrand are very concerned about ethics. They are vehemently opposed to the use of potentially unhealthy ingredients, such as parabens and artificial coloring. Furthermore, they do not test on animals, and are contributors to numerous environmental groups. 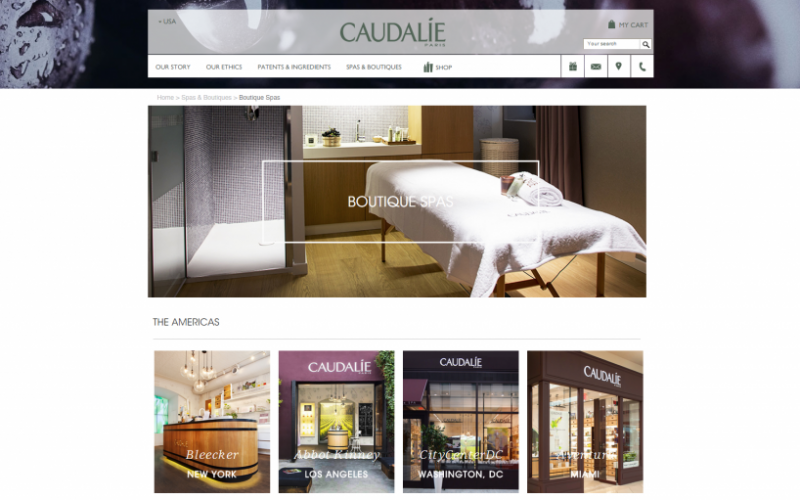 Union Square Design brought Caudalie’s corporate vision to life on their website. Beautiful images of the Caudalie vineyards and ingredients were made to comprise a slideshow that details the Caudalie story, and the scientific research behind their products. Additionally, this personal story was placed at the heart of the site, making user experiences intimate and memorable. 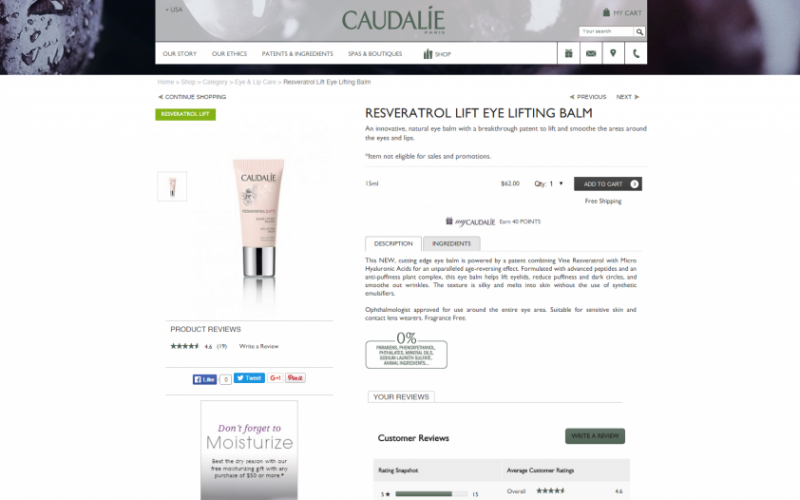 Now Caudalie has the tools to attract new customers and turn them into brand devotees.